**All activities are interchangeable. Click here to view all activities in Arenal. Your guide will be waiting outside the arrivals terminal at the airport, with a sign with your names on it. He will then drive you to your hotel in La Fortuna, Arenal Paraiso. 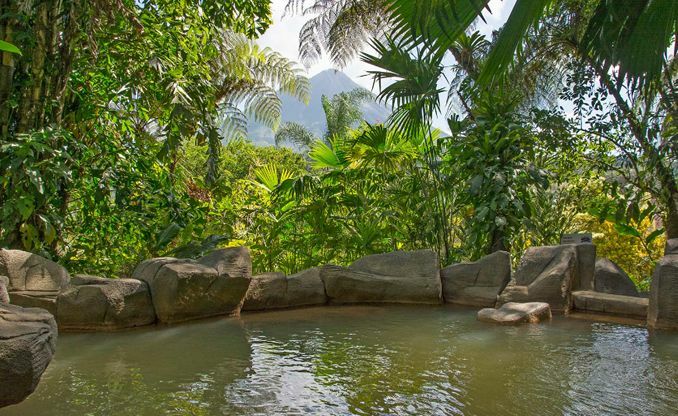 The Arenal Paraiso is built so that each room has a spectacular view of the Arenal Volcano and has several swimming pools and hot springs. The large garden is often visited by wildlife and has a resident sloth right near the restaurant. Sky Trek, Sky Walk, Sky Tram – the complete combo! Discover a birds eye view of the volcano, lake and rainforest as you travel up in open air cable cars to explore the suspended bridges before speeding back down to earth along almost two miles of zip lines. 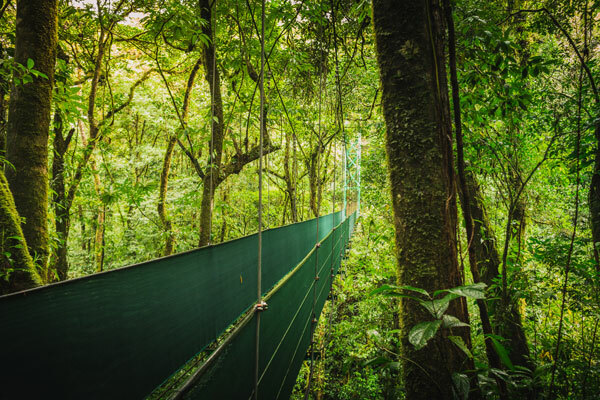 Start with an informative and interesting walk along jungle trails and hanging bridges, with a naturalist guide, and learn all about the flora, fauna, the history and culture of the area. Afterwards ride the open gondola up through the dense rainforest to the unique volcano observation deck. From there you will have great photography opportunities with treetop views of the tropical rainforest. See the jungle from a different perspective and maybe see some different creatures that inhabit it. Return to the ground below by ziplining a series of cables across the tree canopies and canyons. This is an exhilarating fun way to see the rainforest and the beauty of the area. Overnight Arenal Paraiso. Breakfast and lunch included. Talk about getting the most out of your time in Costa Rica. Nothing like a shot of adrenaline as you wake up – more effective than coffee! Today is the Lost Canyon Adventure, rappelling down a series of waterfalls, climaxing with a 200ft assisted rappel. Enjoy a typical local “casado” lunch before choosing your horse for your afternoon adventure. 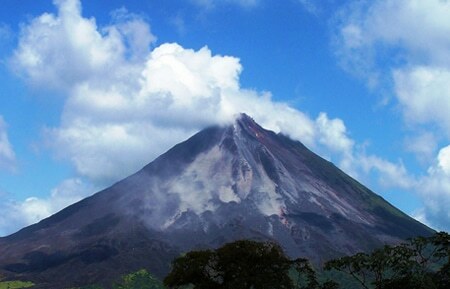 See the spectacular Arenal Volcano and the green countryside as you travel by horseback to the La Fortuna waterfalls. Cool off in the rushing waters near the waterfall. Ride with an experienced Costa Rican cowboy and practice your Spanish along the way. The horses are well-maintained and this is an easy-going ride. Overnight Arenal Paraiso. Breakfast and lunch included. Bring on the adrenaline! 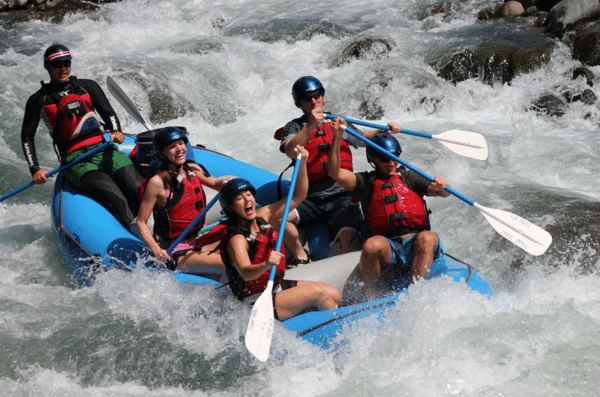 Challenge yourself to a thrilling, class 3-4 day of rafting with lots of exciting, continuous rapids! 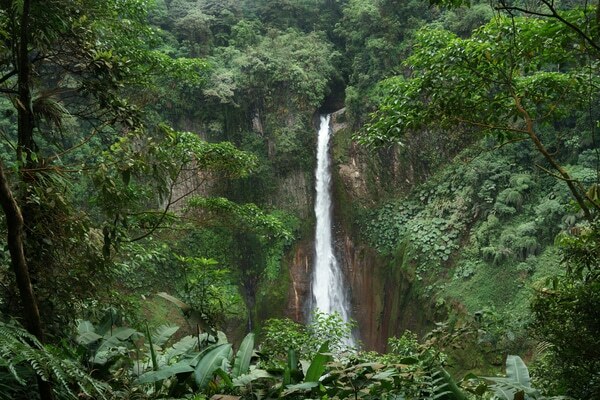 Drop in to over 45-continuous rapids along more than 16 kilometers of deep-canyon gorges and waterfalls where you will probably see sloths, monkeys and tropical birds, such as toucans and the Montezuma Oropendula. Stop along the way for a nice, tropical fruit break and afterward you will be taken out for a typical Costa Rican “casado” lunch. Overnight Arenal Paraiso. Breakfast and lunch included. After all that adventure it is time to head to the beach for some sun, surf and sea. 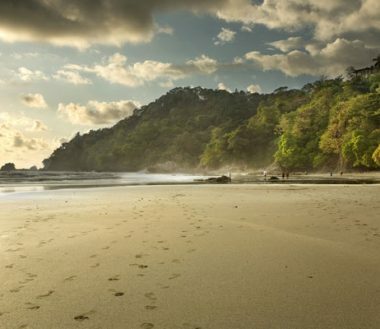 Your private transfer will pick you up from your hotel and take you to the Nicoya Peninsula and Montezuma Beach. Notice the air temperature getting warmer as you come down to sea level. Be prepared, you are in for a hot few days, chilling at the pool or lazing on the beach. Your hotel, Blue Surf Sanctuary, combines rustic, exotic designs with comfortable elegance and each bungalow has its own theme using all natural and recycled materials.Lovely verandas offer tree top views and are a great place to hang out and feel the ocean breeze, while listening to the sounds of the jungle. Breakfast included. Spend these two days however you want! This portion of your Costa Rica honeymoon is made for you to laze by the pool or head to the beach, just a short walk from the hotel. 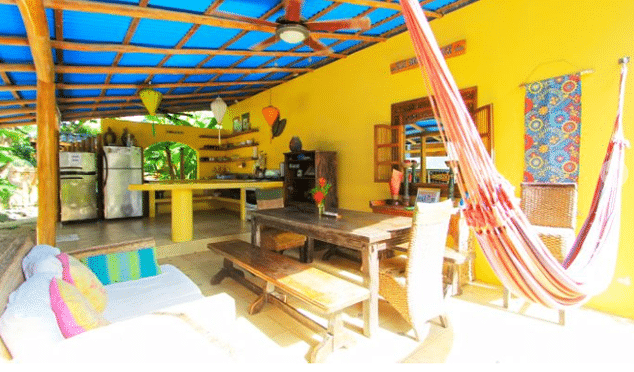 Santa Theresa is a fun, young, funky little surf town situated on a remote corner of the peninsula. It has a relaxed barefoot vibe with a slow pace of life. Overnight Blue Surf Sanctuary. Breakfast included. Enjoy your last morning in the hot tropical sun before taking your private transfer back to San Jose International airport for your flight home. 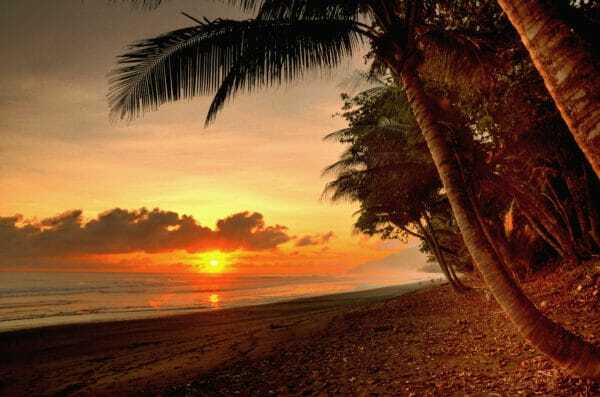 You will return home with amazing memories of an incredible honeymoon in Costa Rica.